‘Super typhoon’ Dujuan killed two people and left more than 300 injured inTaiwan after it swept across the island before reaching land in eastern China, authorities said on Tuesday. Almost half a million people are still without electricity in Taiwan. 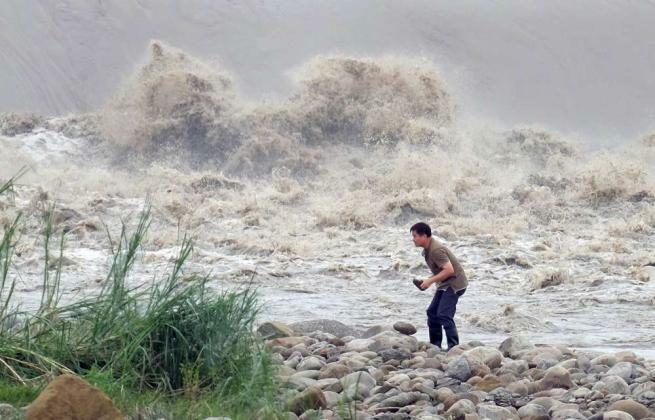 The storm hit the Chinese coastal city of Putian on Tuesday morning, state news agency Xinhua said, but there were no immediate reports of damage. Many of the injured in Taiwan were hit by flying debris or involved in traffic accidents, the emergency operation centre said. It put the death toll at two and the number of injured at 324.